The Opsoro construction system is based around a grid system. Grid plates form the backbone onto which the modules are attached. Modules can be attached to a grid plate using a single M3x10 cap screw. The video below shows a quick demonstration of this principle. The figure above shows the basic grid dimensions. 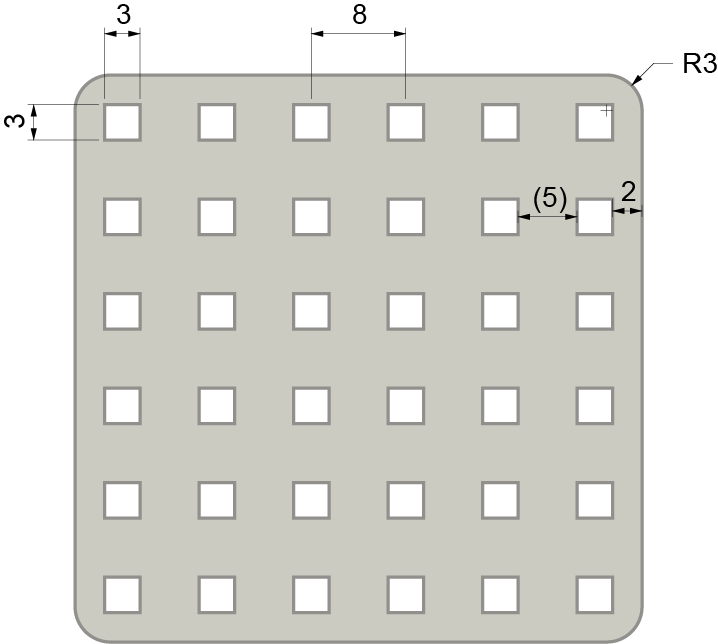 The grid consists of 3mm × 3mm square holes, spaced at an 8mm interval. The design files for a standard A4-sized grid can be found here. The A4 grid can be used as a starting point, however nothing is stopping you from creating custom-sized grids.